Based on the author's career as a federal agent, this book offers a blueprint for investigating a wide array of white collar crimes. 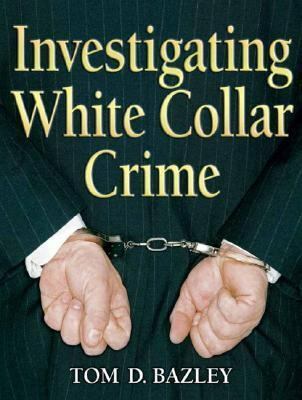 Its approach is comprehensive, examining the typology and investigative processes associated with these types of cases.Bazley, Tom is the author of 'Investigating White Collar Crime ', published 2007 under ISBN 9780131589544 and ISBN 0131589547. Loading marketplace prices 6 copies from $12.85 How does the rental process work?